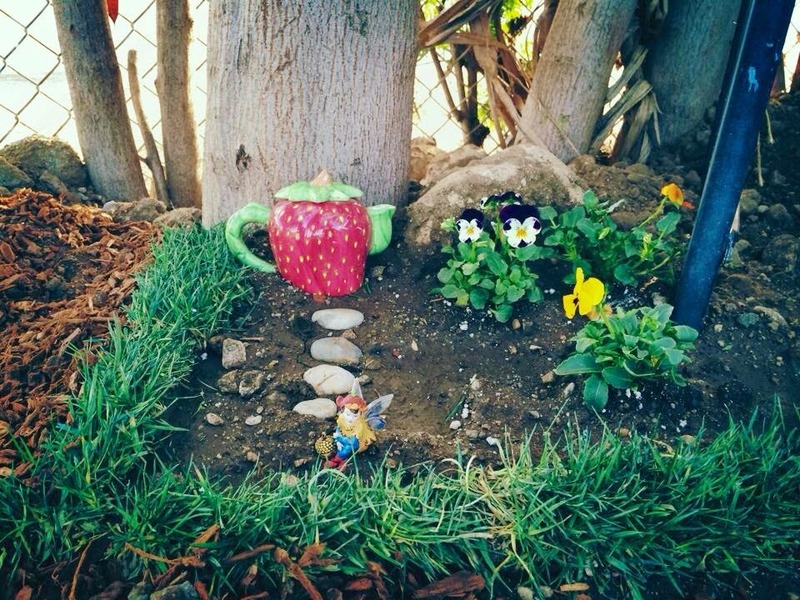 I always wanted a fairy garden and a couple of weeks ago I stumbled upon my friend Bethany's Facebook page. 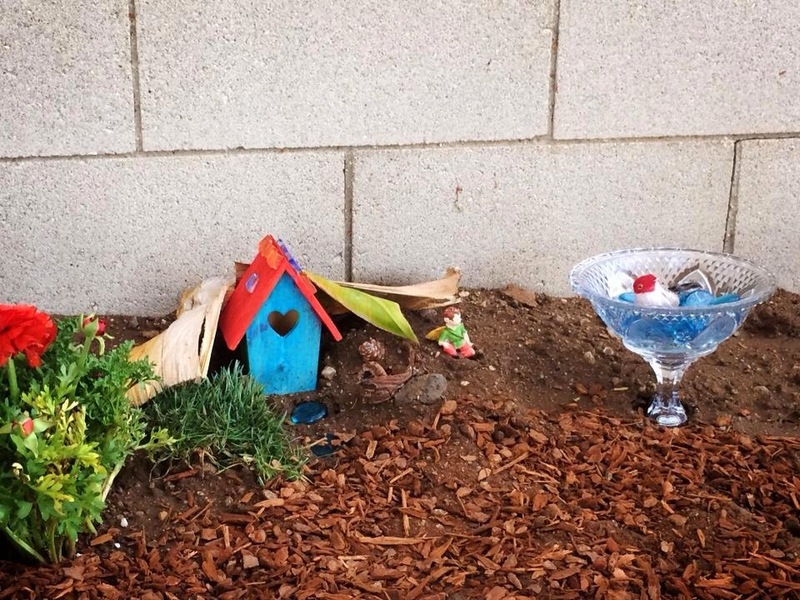 She posted a fairy garden that she put together as a surprise gift for her daughter, Emma. 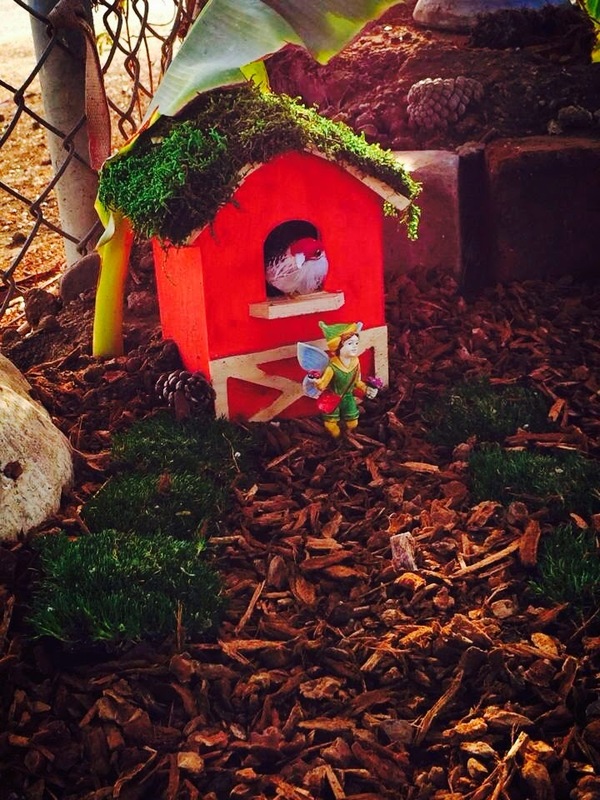 She shared with me how she took her daughter's love of fairies and created Emma's Fairy Garden. 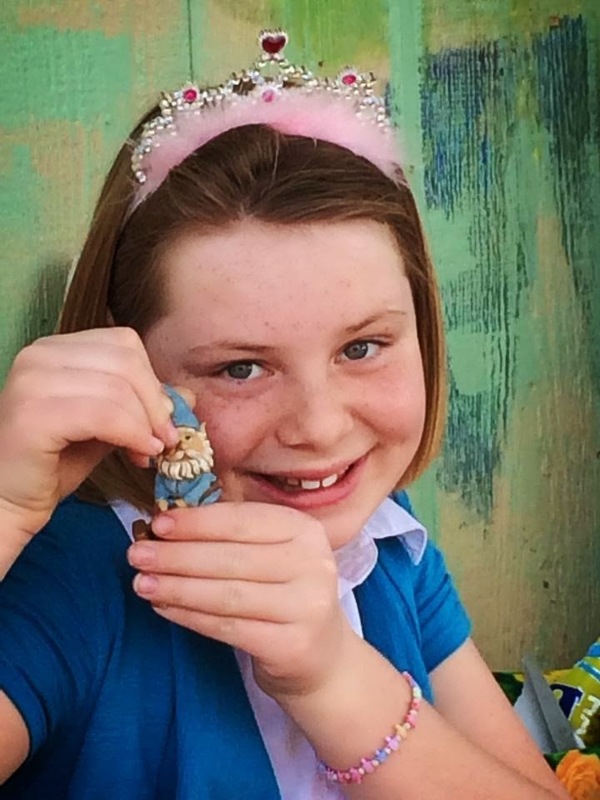 "The idea for the garden came from her [daughter's] love of fairies," Bethany told me, "It was a birthday surprise so no input from the kids." It's not easy to surprise our kids, but Bethany had that covered. It was simple actually-- they just said they were redoing the backyard a little, and then while her daughter spent the weekend at her father’s place, she and her husband put it all together. 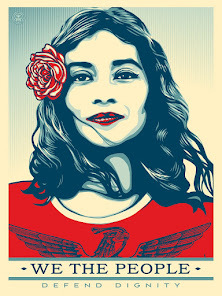 That was the easy part. The first thing that has to be done is to make a plan. Bethany says to stick to using items you can find for free and “make a plan and draw it out." 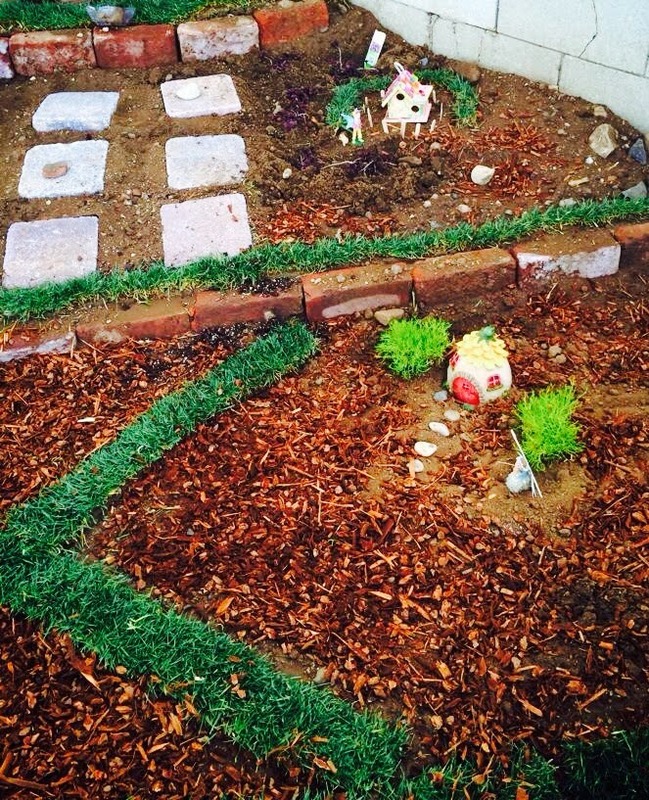 Now because Bethany was making a large fairy garden lots of dirt had to be used… in her case 10 cubic yards of dirt! 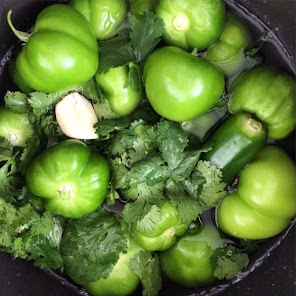 But this doesn't mean you can't make yours in a small pot. 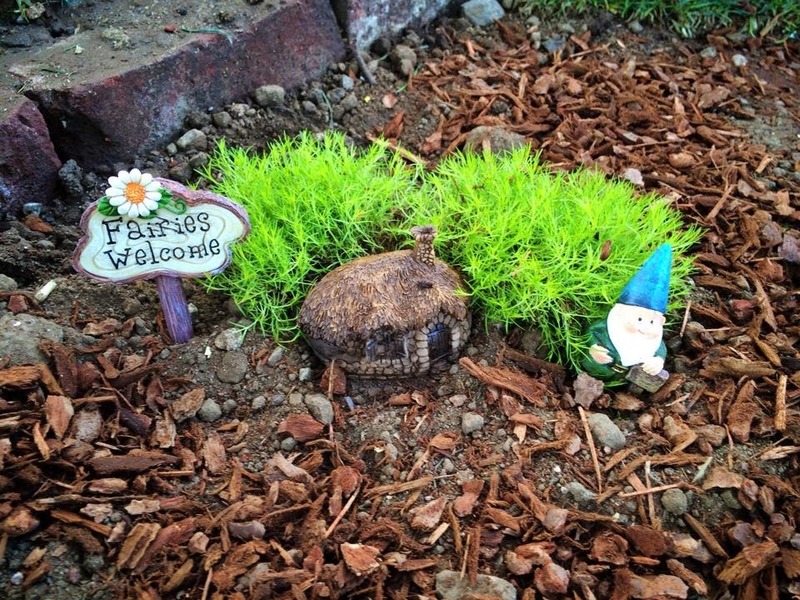 A fairy garden can be anywhere. Just pick a large or small planter. The hardest part for Bethany was the dirt load. "It took a truck load of dirt to move one week," she says, "the rest took a weekend to set up." Once that was done the garden started to come to life. JoAnn's was the place that Bethany turned to for props. They have a great assortment of fairy ideas. Remember you don't have to spend too much money, after all no fairies live at the Four Season Hotel. 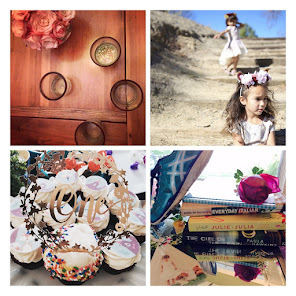 Like Tinker Bell, Bethany "recycled a lot of the items [and] some we got at Home Depot [the flowers]," she says. 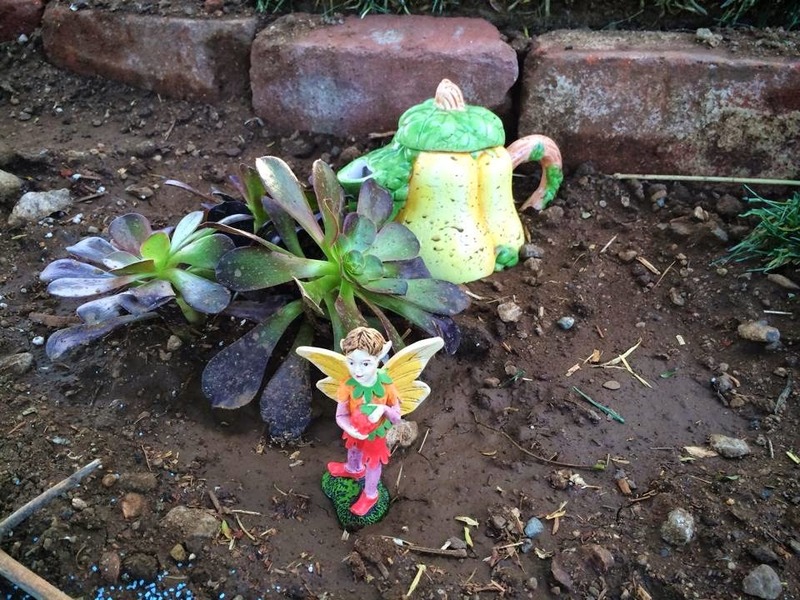 When I was at Home Depot (Woodland Hills location) a couple of weeks ago they had a small fairy garden in a pot. When I asked about it, they said that they too will soon be carrying some must haves for a fairy garden. If you are looking for tea cups and tea pots you can always go to a second hand store and look at their selections. Some of the fairy homes can range from $10-$20 (Joann's is currently having a sale of 40% off their fairy items) so don't feel like you have to spend too much. The items are already in your home if you look hard enough. Bethany suggests not to put it in the sun and she says, "don't worry about the kids changing your ideas around." 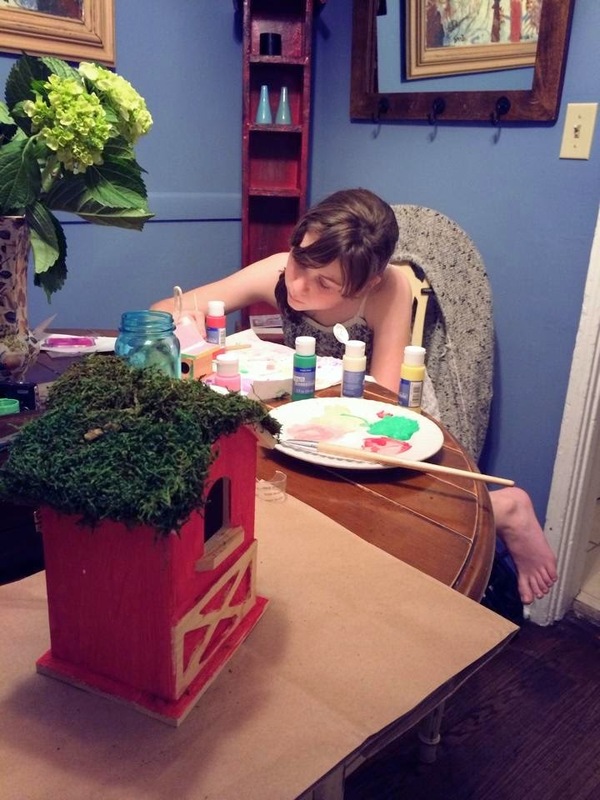 When Emma came home to her surprise fairy garden, she got a chance to be a part of it by decorating her own fairy home to add her own personal touch. And for us moms, it's most important to enjoy the process. 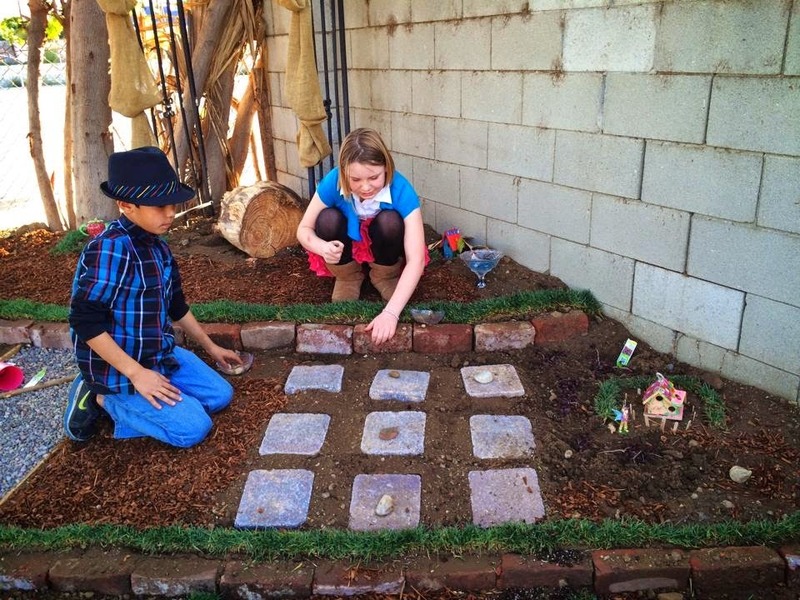 Remember you are not just creating a magical fairy garden, but creating memories that last a life time.